Happy 2016! Not only is it a new year, but I'm approaching my third blog anniversary, and all of that just blows my mind! In the past, I've done a couple of resolution type posts, but reading back on them the following year always made me feel so bad about myself if any resolution was not fulfilled. Rather than focus on the negative or set myself up for failure by creating new resolutions, I decided to reflect back on 2015, but in a positive light. I'm sharing some highlights of 2015 and I hope you'll read on! 1. I started a new job! Last March, I moved to another position in my department, and the last 9 months have been great! It's challenging, but in a different, less stressful way than my last job. I've been having such a great time figuring things out, getting exposed to new things! It's also less travel, and while I'll miss my frequent flyer status, the husband travels enough for the both of us, so I can still benefit from his perks! Very excited to start a second year in this job and further develop into this new position. 2. Family time has been awesome this year. The husband is lucky that the majority of his family is local, but unfortunately, mine are split between Texas and California. With my brother's wedding, and then our long weekend in San Antonio, and then Christmas - it's been refreshing getting more face time with my side of the family. The nephew is growing too fast, and I just adore him. 3. Petie! Speaking of San Antonio, we flew down there in April to pick up my brother's rat terrier, Petie. We've adopted him indefinitely, meaning, if my brother is ever ready to take him back, he can, although at this point, he may have to fight me for him. :) We've loved having a second dog, and since he had his surgery earlier this month, he's been even happier and healthier and our hearts are just full seeing him run around like a mad man around this house! Polish: Chanel "Vert Obscur" (gifted) and Chanel "Graphite"
4. His cousin's wedding! A year ago, his cousin asked me to be a bridesmaid in her wedding, and I legit cried. I was just so touched and honored to make the cut, so this year was filled with all the good things that lead up to the big day - dress shopping, showers, bachelorette parties! 5. Even though we didn't have an actual week-long vacation, I really can't complain. I had so many long weekend trips this year that I really need to be thankful. From New Orleans, to Big Cedar to Denver to NYC during fashion week to Myrtle Beach to the epic lunch! We've created so many awesome memories this year and have gotten to see so many people we love around the country. 6. Entertainment! I can't not mention the Cardinals, I just can't. I had the most amazing seats by the dugout thanks to the husband's birthday present tickets to me. Such an unforgettable experience! Also, I got to see Taylor Swift in concert, basically from the first row. UNREAL! Oh, and I got to meet this guy, you may know him, he goes by the name of Tyson Beckford. 7. And last but not least, I have to touch on some of my blogger accomplishments. Perhaps it's taboo to outwardly speak about this stuff on the blog, but when you're constantly scrutinizing your own engagement, it's very helpful to remind yourself of what you've accomplished, so even if you don't quite meet whatever goal you've set for yourself, the accomplishments you were able to achieve are still worth celebrating! Collaborations: I'm so proud to partner with Kendra Scott and Charming Charlie. Naturally, I'm thankful for ALL my sponsors big or small, but to be approached by these two retailers is quite the honor since I personally already admire and respect both brands and oftentimes the brands that reach out to me are ones with whom I need to familiarize myself prior to working with them. If that's not enough, my closet room is on Ikea's blog. !!!! I spent the majority of 2015 really focusing on my Instagram growth. I tried the loop giveaways, but it wasn't good for my self-esteem to post a photo and get a ton of unfollows once the giveaway was over. I wish I could say it was without effort -- it did take some strategizing and being more purposeful with my content, but I've managed to grow my following from about 3,000 in March to 11,100 by the end of 2015. I never imagined I could even break the 10K mark by the end of the year! I'm ridiculously grateful for the support I've received in that community and the new friendships that have blossomed as a result. To date, I have 808 published posts on the blog, 245 of which were published in 2015. That's gone down from the 269 in 2014, but I'm still proud that I've been able to keep up my with my blogging schedule AND enjoy it in the process. It was nice to have the Christmas week off from blogging, but I do start to miss it after an extended absence. My analytics have increased by 125%-150% in terms of page views, clicks, and visits. 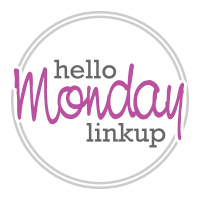 I know a lot of that is thanks to this Monday linkup, so you have no idea how much it means to me for you all to be here week after week! Speaking of the linkup! This one continues to grow! There have been several weeks where we have exceeded 200 links, and this is the first year that's happened! This post makes me happy, and I needed that. I dread New Year's Eve because I somehow rate my worth and success of the year by how many friends and family members I am surrounded by when the ball drops or how much my phone is getting flooded with text messages containing New Year salutations. This year, and most years, it's just me, the husband, and a cell phone that remains text message-less. The husband wouldn't have it any other way, but I always feel like I need the big party. But why? I need to be more appreciative of what I do have, and truly, the husband is all I need (and more) the other 364 days of the year and the life we have created together is one I cherish! I need to focus on that and all of the other highlights of the year come the next New Year's Eve! Thanks for letting me share with you, and not just today, but for the last 808 published posts! Cheers to an even better 2016! Happy new year! You certainly achieved a lot in 2015, well done! I'm most jealous of all your travel, haha! Happy New Year, thanks for the link up and congrats on 3rd year blogger-versary! You had a very successful 2015, and it's important to focus on that. There are always goals that remain unmet, but focusing on the positive is so much better, for your sel-esteem amd motivation. And BTW, what an impressive dressing room! So happy for your growth this year and it was epic meeting you :) I need some tips on how to grow my ig for real. Honestly I know you are so good at posting consistently so you totally deserve it. Congrats on all your accomplishments! Must be so rewarding to see such growth. Best of luck to you in the 2016! Love your outfit! 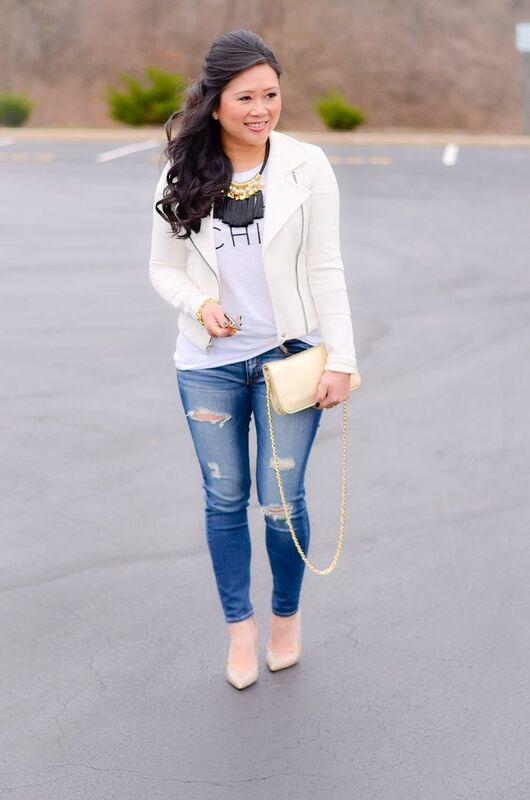 Great blazer and jeans. Sounds like you made a lot of great accomplishments on your blog. Congrats. More power in 2016 - Happy New Year! Sounds like a great year to me! Congratulations on growing your Instagram following to over 10K. That is awesome. I love this outfit, especially the shoes! Thanks for hosting the linkup. Wow, your instagram growth is amazing! Maybe you could do a blog post on how you did that? Congrats--those are wonderful accomplishments! I really need to work on growing Instagram...that is always the toughest for me, despite researching for months now. And you hit the nail on the head about loop giveaways--I always thought it would be a great way to grow my account but what you said is the exact reason I am avoiding them. Thank you so much for hosting this link-up each Monday and Happy New Year! Congratulations on all of your accomplishments, especially the blog. I wish you a very prosperous and peaceful year. Thank you for hosting! I am not much of a resolutions person either. I love the idea of recapping the highlights instead. My husband and I have been doing that in conversations lately. Sounds like it was such a great year!! Loving the distressed denim with this jacket. Happy blog anniversary!! Your hair looks wonderful, I love the updo in the back and your jacket, looks great. I think one should resolve to improve themselves anytime! Happy New Year! I love the outfit. LOVE your positive outlook in this post! And funny that we are on the same wavelength again! I am posting tomorrow but decided not to go back and look at my 2015 goals. I just want to move forward. You know I love this outfit. I just need to find a similar type of killer necklace that will work with a barcelona cami so I can copy it! I tried to enter the loop giveaway but I am one of those people who unfollowed after. I just didn't like the same posts popping up in my feed like 150 times. it doesn't lead to good opportunities to engage so i avoid them. Hope to see you on my IG. I'm following you now. Congrats! You had a great 2015 - and I am impressed by your Instagram numbers. Your style is great! I am glad I found you on The Queen In Between. I look forward to joining your link ups and seeing all the great fashion posts! Whoa girl you've had quite a year! You are certainly an inspiration where it comes to blogging, I totally feel you on the giveaways and then losing those followers. Definitely seems like a catch 22. I totally love your IG page, keep up the good work! P.S. Still salivating over that necklace! I loved this recap and how you wanted to look at 2015 in a positive light and share your accomplishments and things that brought you joy. I've been enjoying reading your blog for the past year and can't wait to see what 2016 has to offer! Happy New Year to you! 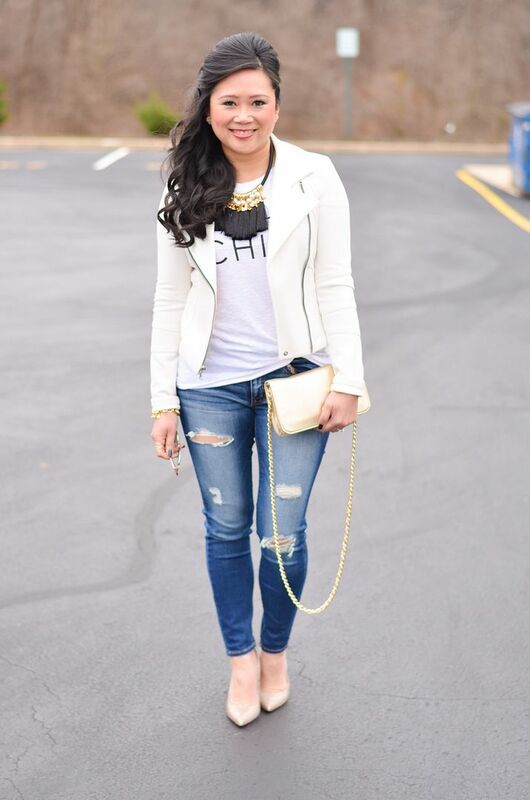 You are one of the most stylish bloggers each and every week!